Founded in 2009, the Amanda Truth Project strives to educate communities about the potential for misdiagnoses of child abuse, to restore families and facilitate access to suitable medical experts for attorneys. Our goal is to focus our services on the following: families in crisis where CPS has removed a child from the home or custody rights were temporarily restricted; those accused falsely of inflicting abusive head trauma or other related child abuses with criminal charges; the wrongfully convicted of same; and ensuring access to providers of community assistance for recently released inmates. The long-term objective is that doctors will perform differential testing before issuing a medical opinion of child abuse, ensuring pediatric patients won’t receive inadequate prevention or treatment while the real cause of injuries is determined. 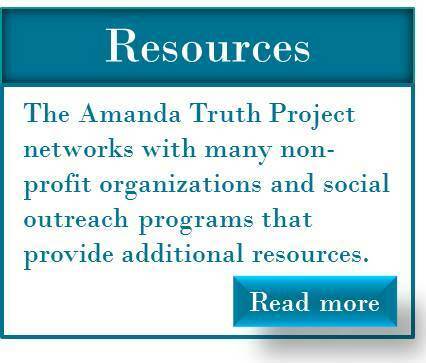 The Amanda Truth Project is a not-for-profit endeavor supported by donations from families and friends.